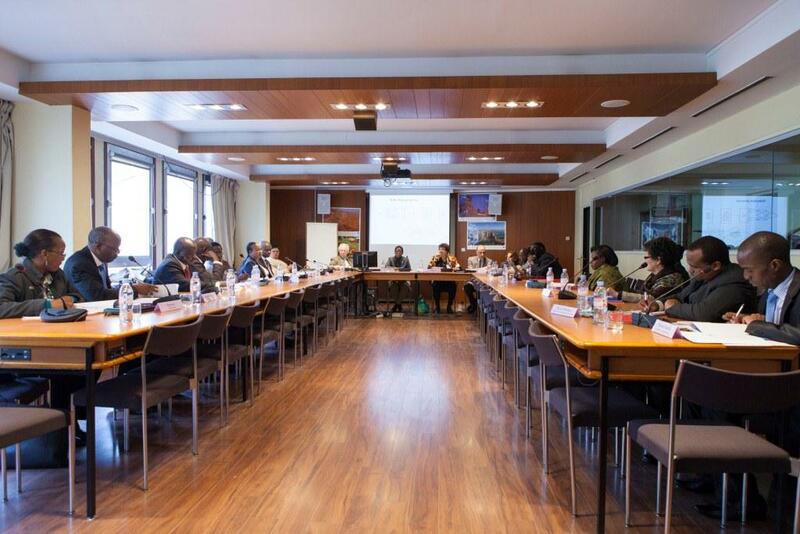 The Fifteenth Session of the SACMEQ Managing Committee took place on Saturday 2nd November 2013 at the International Institute for Educational Planning (IIEP) in Paris, France. The Committee is mandated by the SACMEQ Assembly of Ministers with the coordination of SACMEQ’s administration and finance. The Committee meets annually to review progress made in the implementation of SACMEQ programmes. The Committee deliberated over a range of administrative issues. Among these were the admission of Angola as a full member of the Consortium, the location of the SACMEQ Coordinating Centre in Africa and its financial aspects. Progress made in the ongoing SACMEQ IV Project that was presented by the SACMEQ Acting Director was also discussed. Agenda items which were adopted were presented to the SACMEQ Assembly of Ministers for approval. This was the last meeting of the present Committee and new members were elected during the 9th Session of the SACMEQ Assembly of Ministers that was held on 3rd November 2013. The next Committee Session will be held on October 2014 at a venue to be announced later. The meeting was attended by member Ministers and their representatives, officials accompanying the Ministers and observers. Seated L - R: Hon. Mrs Jessica Alupo Epel (Uganda), Dr Macphail Magwira representing the Minister (Malawi), Hon. Dr. Lazarus Dokora (Zimbabwe), Hon. Mrs Macsuzy Mondon - Chairing (Mauritius), Hon. Mrs Makabelo Mosoane (Lesotho), Mr Abel Assis representing the Minister (Zimbabwe), and Mr Khalil Mahshi (IIEP).